It’s difficult to overestimate the benefits of smiling. It helps you look better and feel better. It can alleviate stress and help you give a better first impression. Indeed, in a poll conducted by the American Academy of Cosmetic Dentistry, more than nine out of ten (92%) of adults agreed that an attractive smile is an important social asset, while 85% said that an unattractive smile makes someone less appealing. Perhaps even more shockingly, 74% of the poll’s respondents said an unattractive smile could hurt a person’s career chances. No wonder people who believe they do not have an attractive smile are reluctant to do so. Most people who say they don’t like their smiles are unhappy with their teeth. Perhaps they have crooked teeth, missing teeth, or discolored teeth. Sadly, there are lots of things that can prevent you from having the perfect Hollywood smile. Bad teeth can ruins people’s confidence, but that is no way to live your life. Thankfully, the cosmetic industry has been fixing imperfect smiles for decades now – and technology is improving all the time, allowing even more people to get the smiles they always wanted. Cosmetic dentists can restore chipped, cracked, or crooked teeth, as well as strengthen or whiten them. Everyone can have the smile they always wanted and that is a fantastically heart-warming fact. Only 50% of Americans are satisfied with their smile, according to the American Academy of Cosmetic Dentistry poll. Life is too short not to put yourself on the right side of that coin flip. At Jenkintown Dental Medicine, we have a reputation for providing fantastic cosmetic dentistry. 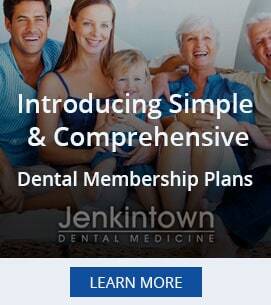 If you’re based in Elkins Park, Philadelphia, you can arrange to see one of our specialists today. .
At Jenkintown Dental Medicine we practice a full scope of general and cosmetic dentistry with expertise ranging from porcelain veneers to dental implants, crowns and bridges to straightening your teeth without braces through Acceledent. Drs. Murphy and Dr. Wilk can now correct a wide variety of so-called permanent cosmetic dental problems, and can literally redesign your smile. We offer free consultations, personalized attention, and customized solutions for your dental needs. With a combined total of 30 years of experience, Dr. Murphy and Dr. Wilk will create a dental implant solution that will cosmetically correct your issue. Jenkintown Dental Medicine has already implemented dental solutions for your neighbors in nearby communities like Horsham and Abington. Still searching the web for the ” best dentist near me “? Call Jenkintown Dental today at 215-885-6565.